Moorhouse Industrial Park, off A25 Westerham Road, Westerham, Kent, TN16 2EU. 1. Customers are responsible for providing a lock and for ensuring their unit is locked prior to leaving the site. The Company will not take responsibility for goods lost or damaged on site when the Customer is loading/unloading or for unsecured goods on site. 2. Customers may use the unit for storage and no other purpose. 3. 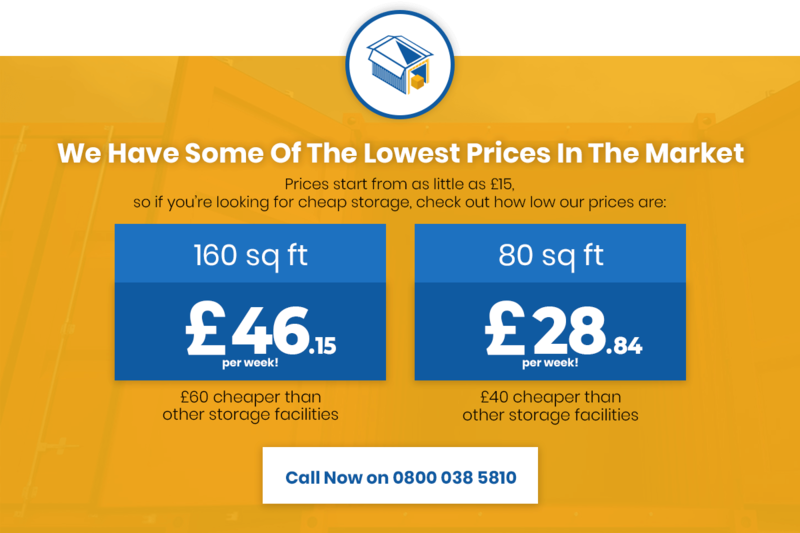 Most household/business items are suitable for self-storage. However, our units are not suitable for the following items: – Inflammable/combustible materials (items containing petrol/oil should be drained down prior to storage. Perishable foodstuffs. Animals or animal products. Hazardous and dangerous items such as explosives, ammunition, toxic waste, asbestos, chemicals, radioactive materials. Illegal items and goods not owned by customers. Vehicles are allowed only for the purpose of delivering and collecting from the site. If any unauthorised vehicles are left at the site overnight there will be a charge of £30.00 per night. 4. Customers may not attach anything to the walls, ceiling floor or doors of the unit and must advise the Company if any damage to the unit occurs. Any items or rubbish left outside of the storage unit will be chargeable including on the roof/top, any rubbish left at the site is a breach of the terms and conditions of rental. 5. Customers give their permission to allow us to break their lock, and/or for access to their unit in an emergency. We will also access the unit, if required to do so by the Police, H.M. Customs & Excise, Fire Services, Local Authority or by a Court Order. 6. Please note that in respect of Units fitted with an electricity supply, we cannot give a guarantee of an uninterrupted supply. The electricity supplied is given free of charge on the assumption of limited usage. If we find excessive usage of the electricity, then we reserve the right to withdraw the facility. We will also withdraw the facility if the tenant does not keep to the rental terms paying the rental when due. 7. The Company shall not be liable for any loss or damage which you may suffer as a direct result of our performance of this Agreement being prevented, hindered or delayed by reason of any Act of God, riot, strike or lock-out, trade dispute or labour disturbance, accident, breakdown of plant or machinery, fire, flood, difficulty in obtaining workmen, materials or transport, electrical power, internet or computer failures or other circumstances whatsoever outside our control and which affect the provision by us of access to or use of the unit. 8. This Agreement gives you a personal License to occupy the Unit/s until the Agreement is terminated. The Agreement is covered by English Law and cannot be assigned without our prior written permission. 9. License Fees will be payable in advance on a monthly basis. When payment is made via a debit or credit card, we will automatically take the next month’s payment unless of course, we are giving notice of termination of the rental contract. 14 days advance notice is required for termination by either the customer or the Company. Please ensure that you advise us that you have vacated the Unit on the scheduled Move Out date, in order that the Unit maybe re-let. Payments due on a Saturday or Sunday, may be taken on the previous Friday. In the event that any cheque is dishonored, we reserve the right to charge £20 on each occurrence. The license fee is subject to increase, by providing one month’s notice in writing (or by email). 10. A failure to pay license fees on the due date, will incur a late payment charge of £5per day and/or exclusion from the site, and/or we may break the lock on the Unit and install a new lock, whether or not we have exercised our right to terminate this Agreement. (c) treat any of the Goods not sold as abandoned and destroy or otherwise dispose of them. Please note all accounts beyond our credit terms will be passed to a debt collection agency. All accounts, without exception, will be subject to a charge that covers our costs in recovery. These accounts will also be subject to any legal costs incurred in obtaining settlement. 12 Notice Period. 14 days advance notice is required for termination by either the customer or the Company. Please e mail us or call direct to tell us of your selected moving out date. Please ensure that you advise us once you have vacated the Unit, in order that the Unit maybe re-let. On termination of this agreement all goods must be removed from the unit, which should be left clean and tidy and in the same condition as the commencement date. We may make an appropriate charge if we have to clean the unit or dispose of any goods or rubbish left in the unit, or on the site. Any goods left in the unit after termination, will be considered as abandoned, and disposed of. 13. Please note that we do not give any refunds on advance discounted long-term rental payments, should you wish to vacate the Unit(s) before the end of the contract period. It is important that you have sufficient insurance cover for your goods should you require additional insurance or would like a quote please enquire. 1) I confirm that the goods are solely owned by me. If the Goods are not owned by me or not solely owned by me, I confirm I have obtained the owner’s, co-owners or joint owner’s consent (as applicable) to the storage of the Goods under the Terms and Conditions of this Agreement. 2) I understand that because the Company has not inspected the goods, it is not on notice as to the existence of any items and has no record of condition. Consequently, the Company is not able to and does not insure the goods and I acknowledge and agree that the Company owes no contractual or other duty in respect of my goods, including consequential or economic loss, whether or not any loss or damage caused is due to any act or omission, negligence or willful default, by us, our agents or other customers. 3) I have inspected the unit number to which this agreement relates and confirmed it is suitable for use and in good condition at the commencement date. I will advise the Company if there is any future damage or other defect affecting the unit. 4) I have received a copy of this Agreement. I have entered into the above Agreement by making payment to Containerstorageunitsukltd for the rental of a storage Unit on the terms shown above.